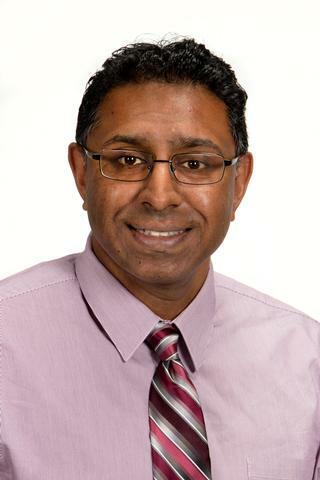 Dr. Joe Chakkalakal is a Dean's Associate Professor in the Department of Pharmacology and Physiology affiliated with the Wilmot Cancer Center at the University Rochester Medical Center. His laboratory is interested in the contribution of stem cells to the maturation, regeneration, and lifelong maintenance of skeletal muscle in various contexts including juvenile growth, aging, and cancer survivorship. Richard D Bell; Emily K Wu; Christopher A Rudmann; Megan Forney; Claire R W Kaiser; Ronald W Wood; Joe V Chakkalakal; Nicole D Paris; Alanna Klose; Guang-Qian Xiao; Javier Rangel-Moreno; Maria L Garcia-Hernandez; Christopher T Ritchlin; Edward M Schwarz; Homaira Rahimi. "Selective sexual dimorphism in musculoskeletal-cardiopulmonary pathologies and mortality in the TNF Transgenic mouse model of rheumatoid arthritis". Arthritis & Rheumatology. 2019; . Bachman JF, Klose A, Liu W, Paris ND, Blanc RS, Schmalz M, Knapp E, Chakkalakal JV. "Prepubertal skeletal muscle growth requires Pax7-expressing satellite cell-derived myonuclear contribution." Development.. 2018 Oct 25; 145(20)Epub 2018 Oct 25. Liu W, Chakkalakal JV. "The Composition, Development, and Regeneration of Neuromuscular Junctions." Current topics in developmental biology.. 2018 126:99-124. Epub 2017 Nov 10.